Exclusivity comes at a price. You could buy a Lamborghini Aventador and call it a day. 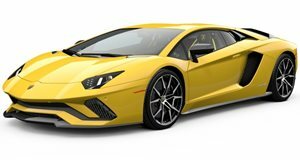 Or you could grow a pair and opt for the 750 horsepower, 509 lb-ft of torque, gas-guzzling Aventador SuperVeloce. 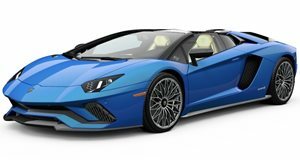 Following its debut at Geneva earlier this month, Lamborghini has released official US pricing for its latest, most badass raging bull to date. Seriously, this thing is absolutely vicious, and it comes with an equally painful price tag. So how much? $493,069. But relax. It’s cool. That amount includes the $3,700 gas-guzzler tax as well as the $3,495 destination and delivery charge. So there’s that. But consider this: the "base" Aventador will set you back roughly $400,995. That’s nearly an additional $100k, and for that you’ll receive the following: 1. An interior wrapped in suede and carbon-fiber fabric 2. 49 more hp 3. All that aggressive, more track-focused body work 4. Experience a top speed of 217 mph and a 0-62 mph time of 2.8 seconds. Don't know about you, but we’re sold.